"Some say that his team is working OK, others say they are no good." Prime Minister Volodymyr Groysman, who was a starch supporter of Wojciech Balczun, the head of Ukrainian railway operator Ukrzaliznytsia, does not sound so positive now. In an interview with LIGA.net, Groysman said the Cabinet has been receiving "conflicting opinions" on the performance of the Polish top manager and assured that his government will soon decide on the date to hear the report of Balczun. "So far, I have I have received mixed signals. Some say that his team is working OK, others say they are no good, some say they are honest, others that they are corrupt," the prime mister said when asked whether he supported the resignation of Balczun or the extension of the contract with him. In any event, if Balczun was to be dismissed, the entire board of Ukrzaliznytsia should also be reformatted. "If the top management is reloaded, it's not just about the head of the board (and I'm still not sure whether he should go or stay) but the whole board. To develop the company we should hire the best specialists," Groysman said. 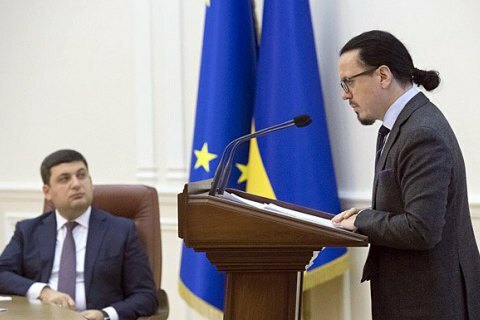 The Minister of Infrastructure Volodymyr Omelyan has repeatedly said that he would demand the dismissal of Balczun. Despite the minister's position, the government has been refusing to hear the report of the UZ head for several weeks and decide on his employment.